The failure of American colleges to promote free speech and intellectual diversity is like an open wound. It stains the imagination, obscuring paths of investigation with a sick pus. It drains the vitality of thought, leaving the mind weakened. And it strains intellectual discourse—the Socratic ideal of conversation—by making us fearful, anxious, and self-censoring. Ideas deserve better treatment. The life of the mind requires a more nurturing care than we now give it in the multitrillion-dollar temple of education that we have constructed with America's colleges and universities. Far from disciplining its intellectual eccentrics, far from expelling its cerebral gadflies, academia ought to protect and celebrate them. Even when they are wrong, they are more rational than the dogmatists who hold right opinions without understanding the arguments that make them right. Several books on the topic have appeared over the past year and a half. With Speak Freely: Why Universities Must Defend Free Speech, for example, Princeton's Keith E. Whittington argues that recent campus censorship reveals our colleges have lost a strong sense of why they exist. "We are in danger," he writes, "of giving up on the hard-won freedoms of critical inquiry that have been wrested from figures of authority over the course of a century." In Free Speech on Campus, the University of Pennsylvania's Sigal R. Ben-Porath claims, "An inclusive and welcoming campus is one that must recognize the necessity of free speech." In the identically titled Free Speech on Campus, UC Berkeley's Erwin Chemerinsky and UC Irvine's Howard Gillman—both senior academic administrators—argue that "there is no way to define an unacceptable, punishment-worthy idea without putting genuinely important new thinking and societal critique at risk." In Safe Spaces, Brave Spaces, Phillips Academy's John Palfrey insists, "Free expression and diversity are essential components of democracy." Such books invariably recognize the problem. Each of them relates one anecdote after another, building to a serious indictment of heavy-handed campus censorship. 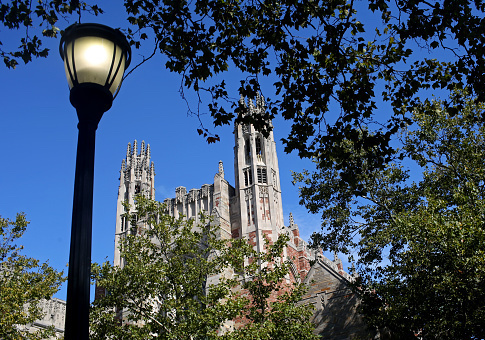 The 2015 Halloween-costume case of Nicholas and Erika Christakis at Yale, in particular, seems to have shocked them, for the couple were clear members of the core aristocracy of academia: thoughtful professors and administrators who seemed to represent the best of the ordinary members of the university. Our kind, in other words, and when students turned on them—and the president of Yale apologized to the students—a good-sized set of American professors recoiled. If a college administration would not defend Nicholas and Erika Christakis when they were absurdly attacked, then who is safe? Best, decided the professors who would go on to write these free-speech books, to demand that the nation's schools protect the academic freedom they claim to allow. And yet, even while they recognize the problem, none of the authors really has a solution. They each, in slightly different ways, end up calling for a change in campus feeling and a reversal of campus culture. They want America's colleges to commit to free speech and intellectual diversity, but leave vague the mechanisms by which that commitment would take effect. What needs to be made clearer in all these accounts is that robust intellectual engagement has two distinct enemies on campuses today. Imagine a fairly benign situation at an American university. That might seem hard to do, given how envenomed and even violent our college disputes have become over the past 20 years. Still, picture something like this: During a public discussion—a campus forum, say, or a faculty debate—a professor lays out the argument of The Bell Curve, the 1994 book by Richard J. Herrnstein and Charles Murray about the statistical distribution of intelligence. The professor goes on to reject the argument, but the very fact that the book was discussed in public prompts one of those in attendance to complain to campus authorities. I recently asked an intelligent and thoughtful college human-resources officer what the result would be. And I was told to rest easy. On most American state-college campuses—the ones that don't make the news for their agitation—all that would happen would be the opening of a Title IX investigation. Testimony would be taken and reports filed over the course of several months, but if the circumstances were as I had laid them out, eventually the professor would be informed that no disciplinary action was being taken. No harm, no foul. Even in this all's-well-that-ends-well scenario, one can discern the lineaments of our problem. It's threatened on one side by those who file complaints, triggered by things like a mention of The Bell Curve. And it's threatened on the other side by the bureaucracies that have grown up on American campus over the past few decades. Knowing the extent to which leftist thinkers dominate contemporary colleges, conservative writers have tended to conflate the two forces squeezing academic freedom between them, as though the problem were a leftist faculty spurring agitated students to complain to leftist administrators. But even at schools where the staff is not politically active, bureaucratic process grinds down faculty into self-censorship. To a human-resources employee, an investigation that ends in dismissal of a complaint may seem ordinary and benign. It is their daily work, after all. For the faculty member caught in the process, however, it proves the opposite: an intrusion devouring the time, intelligence, and emotional energy that ought to be devoted to teaching and the life of the mind. And what answer to a Title IX investigation is a high-minded declaration of the value of free speech and intellectual diversity? Even when schools endorse generous statements of support for free speech, they are endorsing equally feel-good statements of support for diversity. And the two statements are on a collision course—for, at the highest level of abstraction, diversity statements insist that there are ideas that cannot be spoken aloud, and free-speech statements insist that all ideas are allowed a hearing. It is a deep observation of political theory that when culture fails, law steps in. The Midwestern states, for example, are exploring legal solutions to the national problem of campus culture. In South Dakota, for example, the legislature is considering a bill to require the state's public universities to promote free speech and intellectual diversity—and this week the House Education Committee approved advancing the bill by a 9 to 6 vote. The bill also demands that students at South Dakota's public universities take classes in American history and government, and prove their studies by passing a test of the questions on a citizenship exam. This is only the latest in a series of battles between the Board of Regents, which oversees the state's universities, and the legislature, which funds them. And not surprisingly, the Board of Regents is mounting an attack on the bill as it reaches the floor of the state House of Representatives. The regents may have a reasonable point about the bill's failure to provide funding for its mandates. But when they argue that the bill is unnecessary, given recent changes in free-speech policy at the state universities, the regents are on shakier ground. The failure of American academia to find a solution to its current cultural dilemmas is precisely what invites legislatures to step in. The proposed law in South Dakota is a blunt instrument, as are parallel bills in other states. But that is the nature of law. Nuance and subtlety, fine balances and good manners, are characteristics of cultures: the accommodations we make to live with one another and pursue our goals—goals such as the life of the mind on a college campus. And when culture fails, when a governmental institution cannot close a wound that drains away its reason for existence, law steps in. As it must. As it ought. This entry was posted in Culture and tagged Book reviews, College Campuses. Bookmark the permalink.